Take a Network Break! 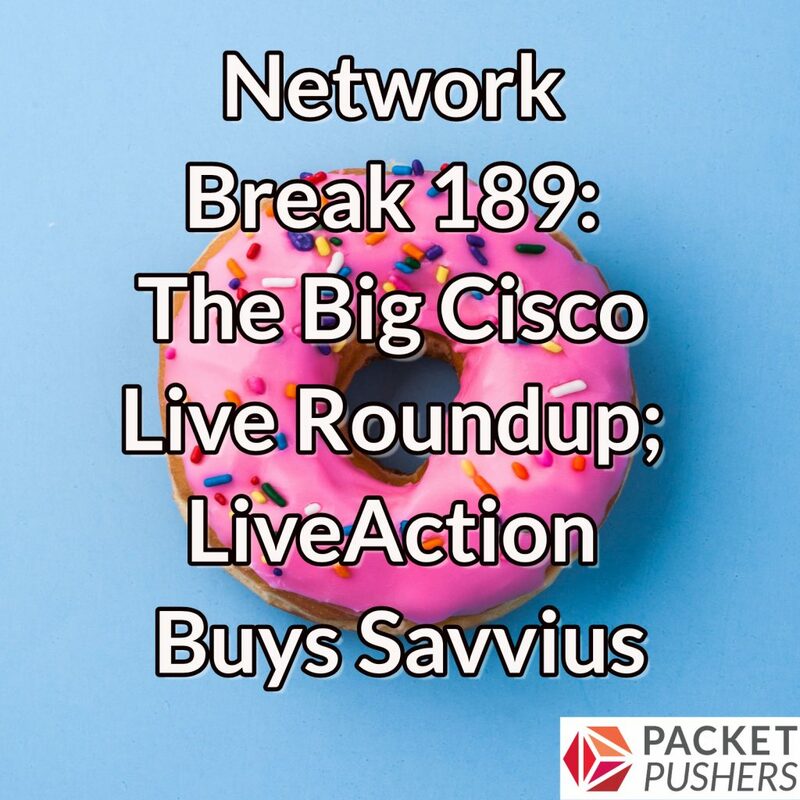 Cisco Live US 2018 took place last week, so we spend a some time covering show news, overall impressions, and a touch of tea-leaf reading. In non-Cisco news, VMware has a new lower-cost pricing tier to encourage customers to try VMware on AWS, LiveAction acquires packet capture/network monitoring vendor Savvius for an undisclosed amount, and orchestration vendor Gluware can now upgrade OSs for seven different vendors. Metaswitch joins the OpenSwitch project, ONAP announces the Beijing release of its network automation package, and Comcast has deactivated its “congestion management system” (aka throttling). Speaking of Comcast, the ISP has made a $65 billion bid for 21st Century Fox. In other provider news, AT&T gets the greenlight to merge with Time Warner. And last but not least, Cisco has joined an investment round in the startup Avi Networks, which makes software load balancers and service meshes. Stay tuned after the news for a sponsored conversation with ThousandEyes about how to monitor the performance of Salesforce and other business-critical SaaS apps.